I was recently contacted by a company representing Chill.ie and asked if I prefer to stay in or go out during the colder months and whilst the obvious answer to me was stay in, it got me thinking about what I like to do when I go 'out' out - not just out to dinner or the cinema or even the local for a few drinks - I mean 'out' out! Those nights when memories are made (albeit hazy memories sometimes!). My night out prep can sometimes be as good as the night itself - I love nothing more than taking my time to apply my makeup and style my hair to go from a 0-8 (ish - let's not get too carried away!) in the space of a few hours! It's amazing the difference some fake tan, makeup, lashes, some bling and heels can make, all done to the background of good music and some bubbles to get the party started! Back in the day when my friends and I were all single, we would almost be drunk on pure excitement for the night ahead before we even left the house. Outfits would be changed 3/4 times before settling on one because it wouldn't do to wear the same outfit two weekends in a row and luckily, we were all the same size so there were plenty of clothes swaps too. 1. Have I unplugged my hair straightener? 2. Have I locked the front door properly and set the alarm and put my keys in my bag - not under the flower pot at the front door? 3. The one that rings in the ears of everyone Irish - have I switched the immersion off? Don't tell me that you don't hear that one in your head in your mother's voice? Are you more of a staying in or night out person? 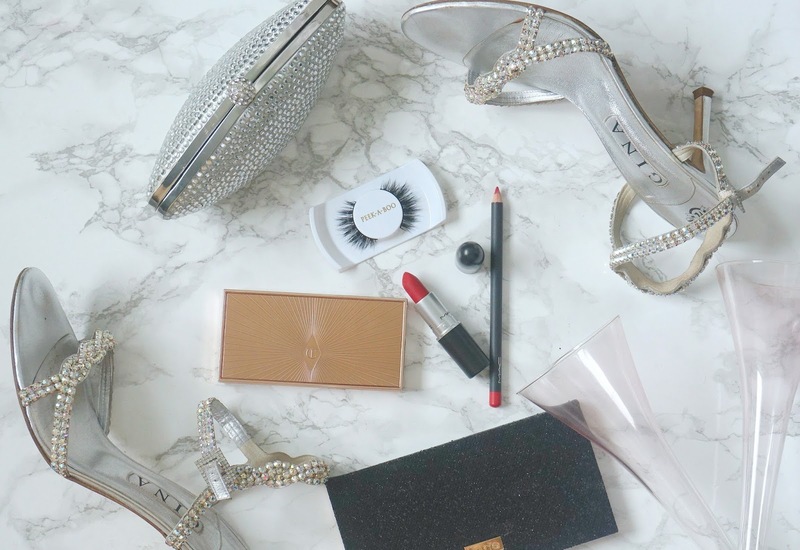 How often do you go 'out' out and what are your night out rituals and essentials? I would love to hear in the comments below!